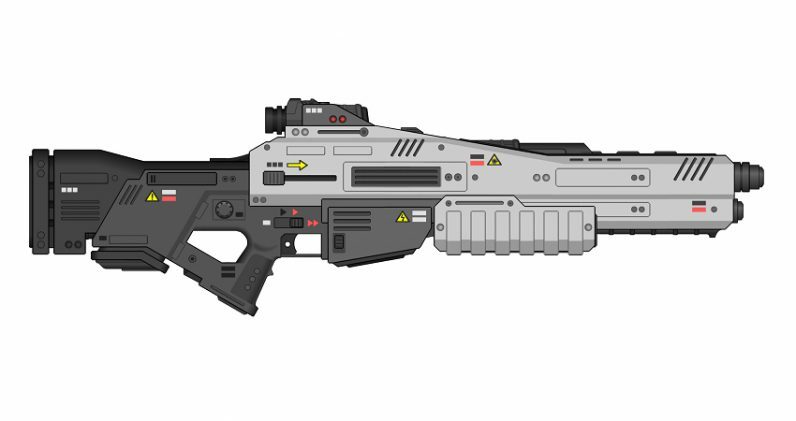 A Chinese firm wants to arm the country’s police forces with a whole new kind of weapon for the battlefield: an assault rifle that fires lasers and can burn your clothes and skin from up to 800m away. Oh, and those lasers are silent, invisible, and can pass through glass windows too. The rifle (not pictured above, that’s just a concept illustration) has been developed by ZKZM Laser, which is part of the Xi’an Institute of Optics and Precision Mechanics at the Chinese Academy of Sciences. The idea is to support police in hostage situations, allowing them to take kidnappers down a notch. It could also find use in covert military operations, reports the South China Morning Post. “The pain will be beyond endurance,” said a researcher who worked on the ZKZM-500 rifle. At the same time, the weapon is said to be “non-lethal,” likely because it doesn’t kill on impact. At three kilos (6.6lb), it’s roughly the same weight as an AK-47; the rifle is said to use a lithium battery to fire more than 1,000 “shots” that last for two seconds each. ZKZM is believed to be in search of a manufacturing partner, so it can begin producing these weapons for $15,000 apiece. But is it for real? TechCrunch seriously doubts it; in his coverage, Devin Coldewey noted that, due to the attenuation that occurs as a laser travels 800m through the air, it will almost certainly be too weak to cause any sort of perceptible damage to clothing or skin. He adds that it’s highly unlikely that the weapon can store the magnitude of power in its lithium-ion battery in a small package that’d be needed to fire 1,000 shots of incendiary lasers. We’ll need to see a demonstration to be sure about the weapon’s capabilities. Call us when you’re ready, ZKZM.